Fairfield County’s Community Foundation encourages students and parents to visit their high school’s websites or contact their guidance department for information about the foundation’s many scholarships and instructions on how to apply. The foundation needs qualified applicants to apply so that the scholarships can be awarded. There also is an online application at FCCFoundation.org. In addition to the numerous scholarships listed at FCCFoundation.org, FCCF offers a wide selection of scholarships directly through most high schools in Fairfield County. Darien High School students can find out more at the school’s Guidance Department. The application deadline is March 21, 2019. Fairfield County’s Community Foundation is the largest provider of college scholarships in the region. With over 175 scholarships to choose from, students applying to two- and four-year educational institutions and for technical certificate programs may qualify for any number of opportunities. This year, close to $1 million will be awarded to more than 450 Fairfield County high school seniors, college undergraduates and graduate students to jumpstart their path to success. These awards range from $500 to $8,000 and some of the scholarships are even renewable. Since the Community Foundation Scholarship Program was established in 1992, over $9 million has been awarded. 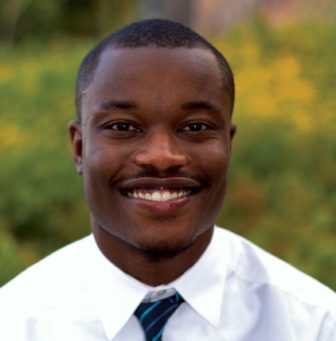 “As a first-generation college student, an FCCF scholarship was my first step to higher education,” said Cyrus Brown, a, FCCF Scholarship Fund recipient. This past May, Cyrus graduated from UConn with a BS in exercise science and is now working toward his doctorate at Howard University. One of the highlighted scholarships this year for students in good standing is the Magnus Wahlstrom Leadership Award for students with high academic scores who are notably recognized for social leadership and community service. Applicants for this award must show a passion for learning and a deep interest in continued education with plans to attend a four-year college or university. There will be one student selected for this award and it is renewable. Fairfield County’s Community Foundation’s goal — to build a stronger community while promoting philanthropy as a means to create lasting change in Fairfield County — is exemplified by its scholarship initiative. If you are interested giving someone the opportunity to pursue their dream by establishing a scholarship at Fairfield County’s Community Foundation, please contact Kristy Jelenik at 203.750.3200. Two students from Darien High School were recently honored at the 2019 High School Arts Awards Banquet for their outstanding accomplishments in the fine and performing arts. Justin Mossa (visual arts) and Evelyn Sload (music/performing arts) represented Darien High School and were the recipients of awards given at the April 2 event.